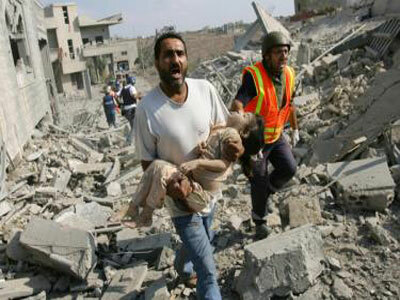 Human Rights Watch (HRW) reported that Israel’s airstrikes against the Gaza Strip in the most recent war on Gaza in November of last year violated International laws of war, as the Israeli army bombarded areas that had no “legitimate military targets”.The war was carried out by the Israeli army against the Gaza Strip in the period between November 14 and 21 of last year. HRW reported that it conducted an investigation as part of a non-comprehensive report in which it found out that, in 14 instances, Israel unmanned drones fired missiles into civilian areas with no indication of any military target. It added that in four more instances, the Israeli army targeted what was described as identifiable military targets yet the weapons used against these targets were disproportionate, and caused harm to civilians. 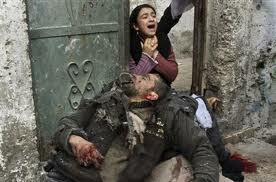 HRW said that these attacks led to the death of 43 Palestinian civilians, including twelve children. It further stated that it released its report now after it was carried out by trained military police investigators, an issue that took time. During the 8-day war in November of last year Israeli missiles and shells killed 191 Palestinians, including children, women and elderly, while at least 1492 Palestinians have been injured, dozens seriously. 48 children, including 16 under the age of five, have been killed by Israeli missiles and shells, in addition to 12 women and 20 elderly.